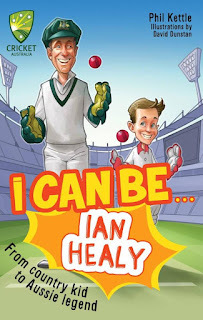 I Can Be Ian Healy is just one of eight in this inspiring series. Featuring facts, activities and interviews this book is an awesome read for younger kids. Each book features a different star cricket player and an interview with them, giving you an insight into the journey they have been through to achieve their dreams. In the back of this book you’ll discover cricket related activities, everything you need to know about Ian Healy and a short story about cricket. What I really admired about this book is the fact that it educates kids about cricket, as well as teaching them to chase their dreams. The series also provides an inspiring read for girls because females feature heavily as well. Another cool thing was the many different aspects of the book that make sure to create an enjoyable read that will interest younger readers. To sum everything up, I loved this book and the messages it conveys and would definitely recommend it!